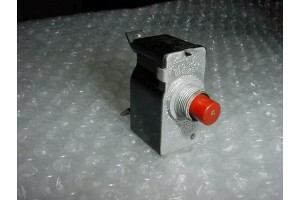 5A Klixon PSM Series Aircraft Circuit Breaker. P/N PSM-5A. 5A Klixon PSM Series , sealed construction, manual reset, Aircraft Circuit Breaker. P/N PSM-5A or PSM-5. Alternate P/Ns 190098, B5572ADWG3, PSM-5-N. NSN: 5925-00-549-9824. It is used, in good condition.